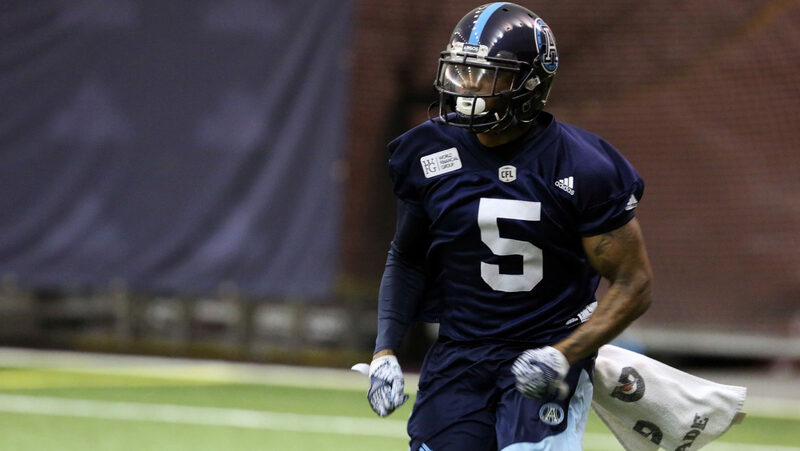 TORONTO — The Toronto Argonauts have signed Canadian defensive back Jermaine Gabriel and international linebacker Terrance Plummer through 2019, the team announced Friday. Gabriel, 28, is entering his seventh CFL season all in double blue after being drafted by the club 17th overall in the 2013 CFL Draft. The Toronto native has been a staple on the back end of the Argonauts’ defence since entering the league, playing in at least 11 games every season over his career. Over 83 games, the 5-foot-10, 185-pound defensive back has racked up 200 defensive tackles, 37 special teams tackles, five sacks, and four forced fumbles. In the Argos’ 105th Grey Cup victory in 2017, it was Gabriel who combined with Cleyon Laing to force the fumble that Cassius Vaughn returned for a 109-yard touchdown. As Feb. 12 fast approaches, some of the league’s biggest stars are closing in on free agency. CFL.ca has ongoing coverage. Gabriel spent two seasons at Bishop’s University, registering 71 tackles, three interceptions and a forced fumble. After his time at the Quebec university, the DB played for the Calgary Colts of the CJFL, intercepting four passes en route to being named MVP of the Prairie Football Conference. Plummer, 25, was signed by the Argos in October of 2017 and played 17 games in his rookie CFL season, tallying 32 defensive tackles, six special teams tackles and a key interception returned for a touchdown in the Eastern Final vs. Saskatchewan. The Florida native’s 2018 season was cut short due to injury as Plummer played in only three games. The 6-foot-1, 241-pound linebacker played three games for the Washington Redskins in 2015, recording one tackle before being released and then signed by the Minnesota Vikings, where he remained until August 2016. The Central Florida product played 51 games over four seasons for the Knights, recording 334 tackles, 30.5 tackles for loss, 6.5 sacks, four forced fumbles and three fumble recoveries. He was named First Team All-ACC and was the Tostitos Fiesta Bowl Defensive MVP.